Today I went to town to look for a few things. A bag and a calendar, the calendar because I want one and the bag because the calendar won’t fit in my current one, and I’ve been needing a bigger bag for a while. 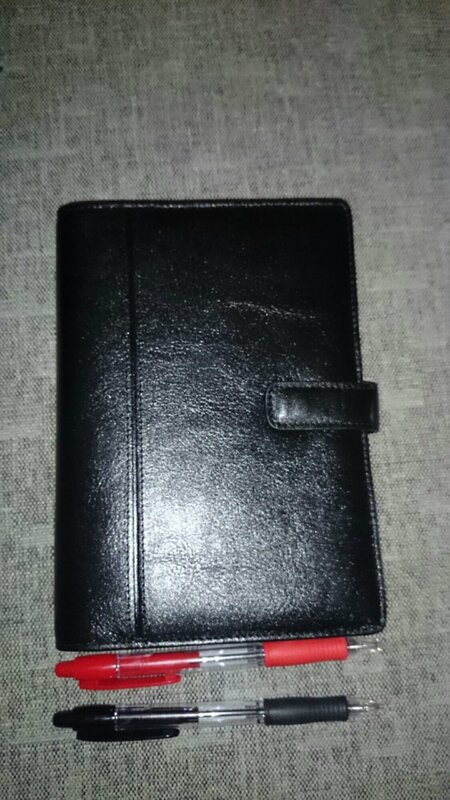 Nice size, about 13×19 cm, black leather and I also bought two pens to use with it. 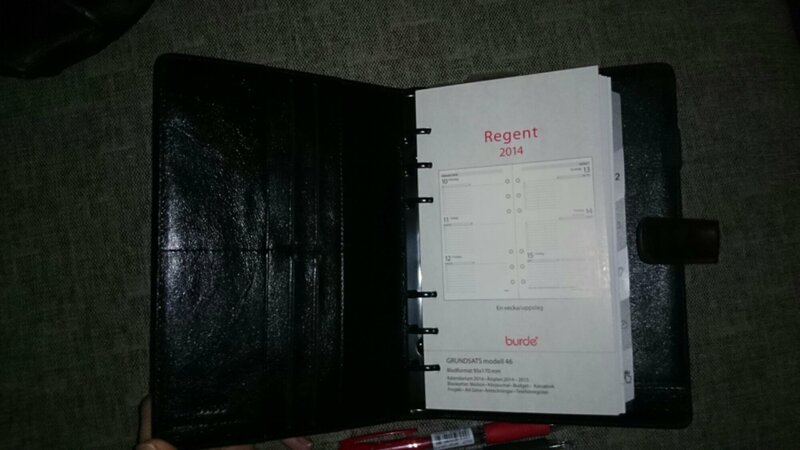 6 cardpockets, one bill/receipt pocket and a spiralholder for the calendar. The other side has a bill/receipt holder, a zipper coin holder and a pen holder. 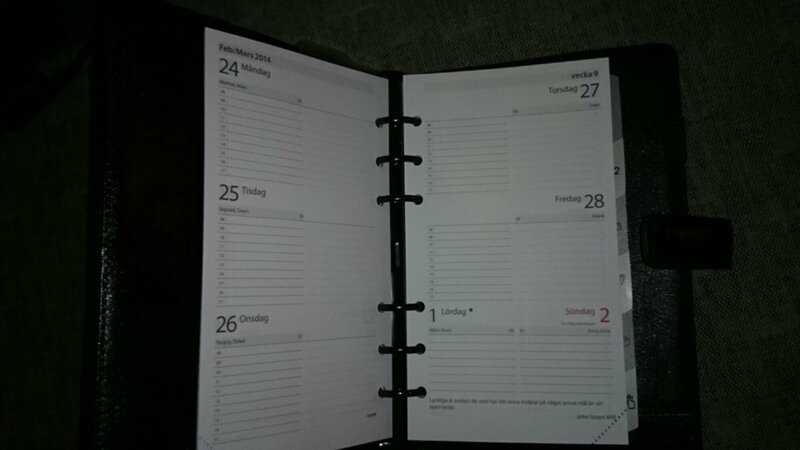 I would’ve prefered vertical days, but this is fine for starters, I might buy vertical refills later. Neither of them have time after 7 pm though, I would have needed longer due to work hours. With one black and one red pen I can keep work and appointments separate. Just need to figure out which to use for what. 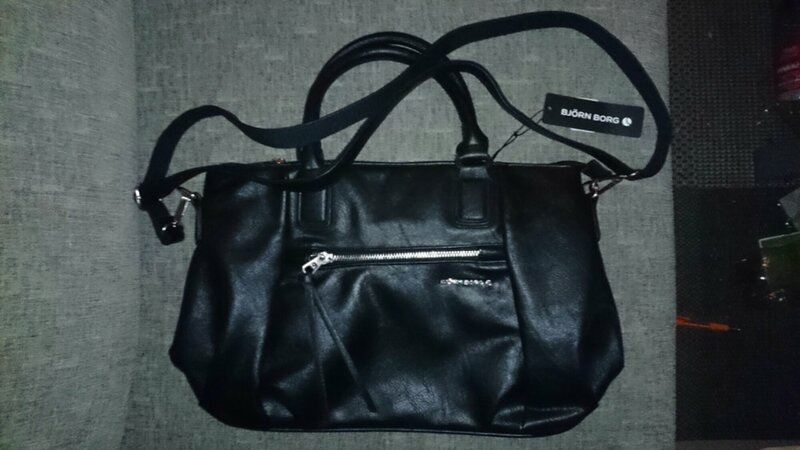 A smaller zipper pocket, perfect for my wallet so it’s easy to reach, dual handles and a shoulder strap, and the Björn Borg logo. 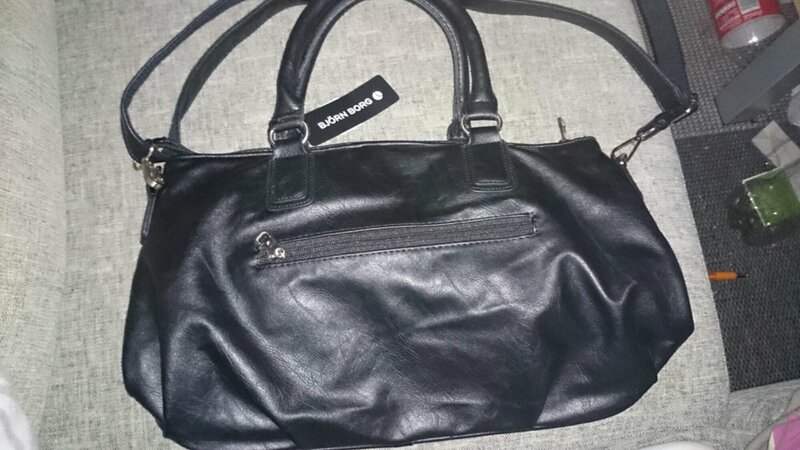 I’ve never had a bag with both handles and a shoulder strap, but it’ll be nice to be able to switch. 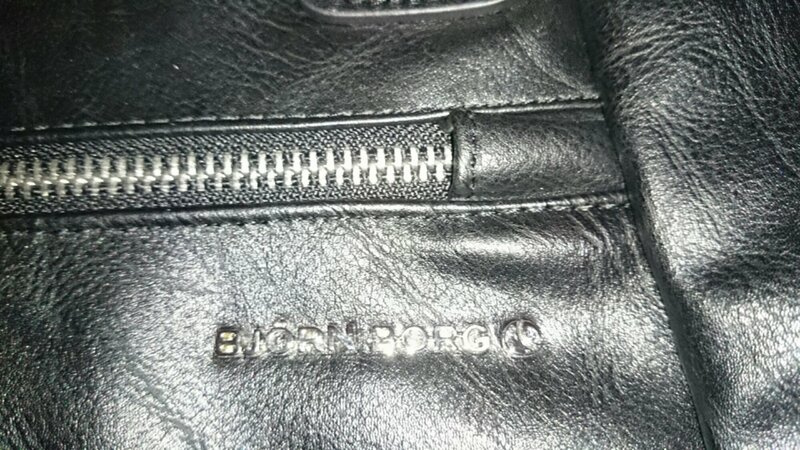 Just to show the zipper, material and logo. A small zipper pocket, slightly bigger than the front one. And this one’s black plastic and not steel like the front one. 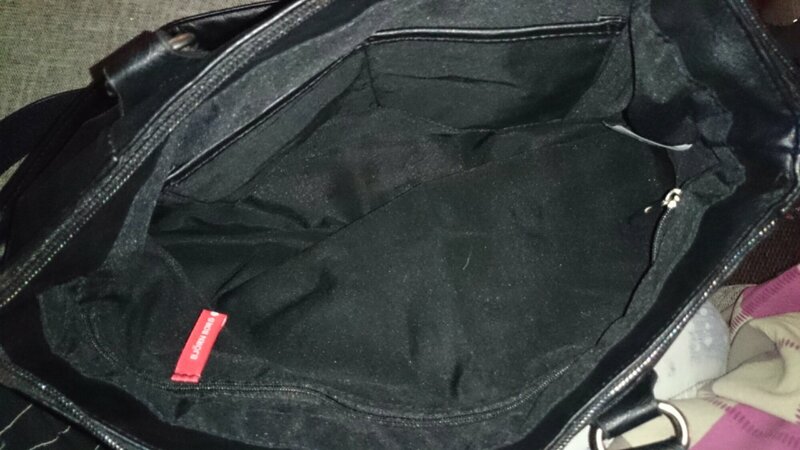 One spacious compartment for all that silly stuff women carry around. Two small pockets for phones or other small/medium things one one side. One zippered pocket along the other side. It’ll be nice having a larger bag, but still not one of those ridiculously large ones I see around, and the calendar might help me get my days in order, it’s way to often that I find myself cramming a week of things into one day because I didn’t plan better. So now it’s organizing time. 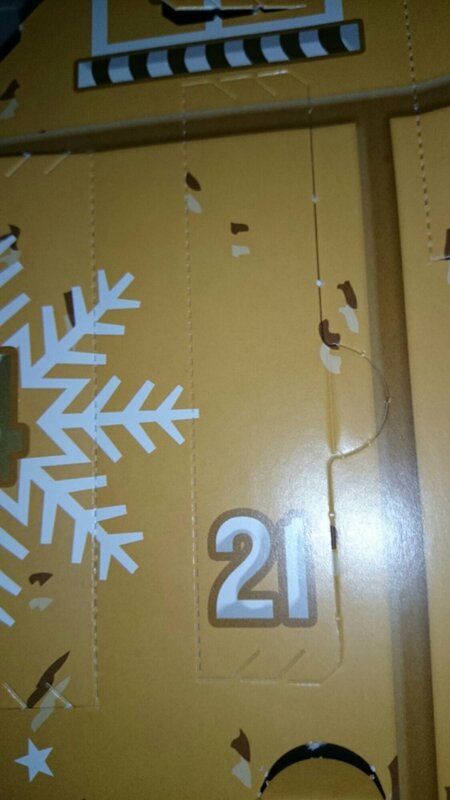 Starting,with a calendar and a bag, and later I’ll move on to cupboards, shelves and rooms at home. Anyone got any good organizing tips? Now when Christmas is over, I’d like everyone to comment their best way to get rid of the “christmas tension” and I’ll do a post with all the tips. Personally I get tense on Christmas, but that might be because I need to be at 4-5 places in one day, not including my own apartment. Feel free to give relaxing tips for New Years Day too, I’ll combine the posts. Wow! 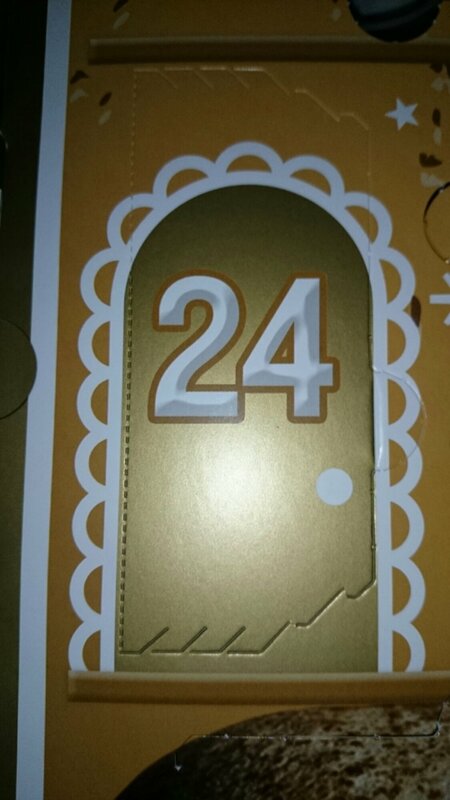 I had a few guesses and hopes about this window, this was not even on my list. I did not expect this one. But I’m so excited. This is a serum for dry skin with the first signs of ageing. It’s beriched with stem cells from sea lilies to stimulate skin renewal. I’ve wanted to try this for a while but haven’t because of the price. But know I can finally try it. 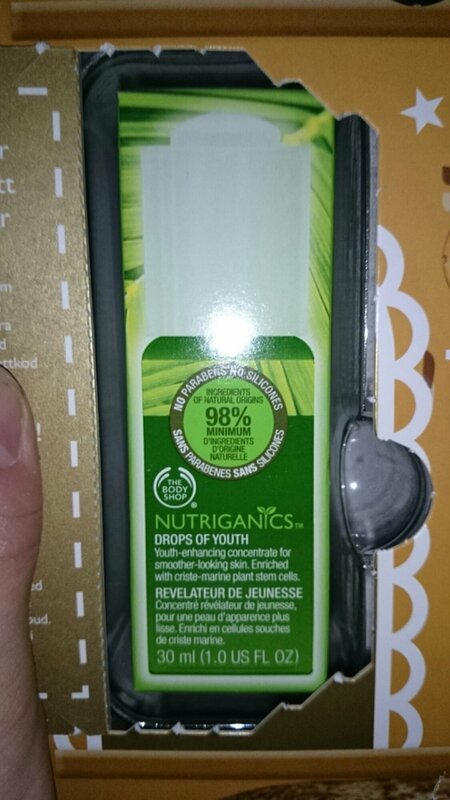 The other Nutriganics products I’ve tried has been wonderful. 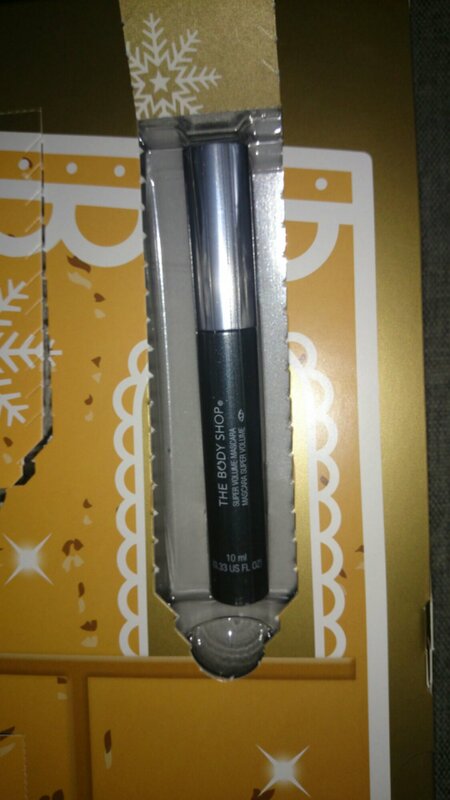 A black, super volume mascara. This’ll be nice to try, usually I use waterproof mascara, but I will try it. The other mascaras from body shop that I’ve tried have been nice though. Tomorrow is the last window. And celebration at my parents. 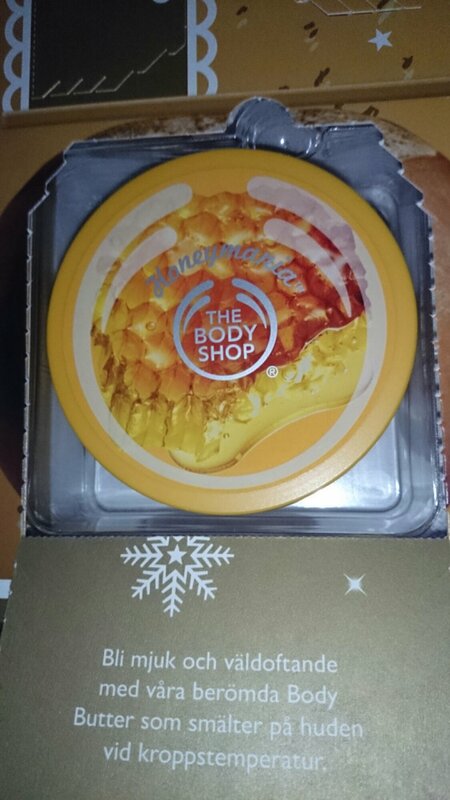 A full sized honeymania body butter. 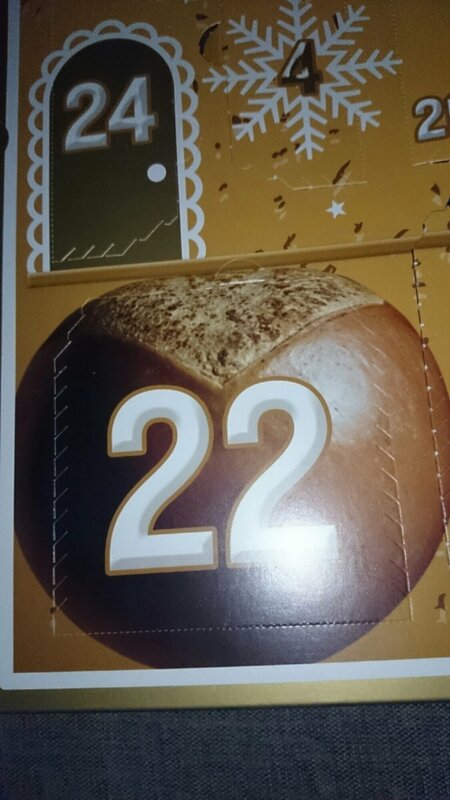 Since I got the calendar I’ve been eyeing this window, hoping for exactly this. Since the honeymania series is so new I’m really looking forward to try this. The scent is sweet but subtle, really nice. 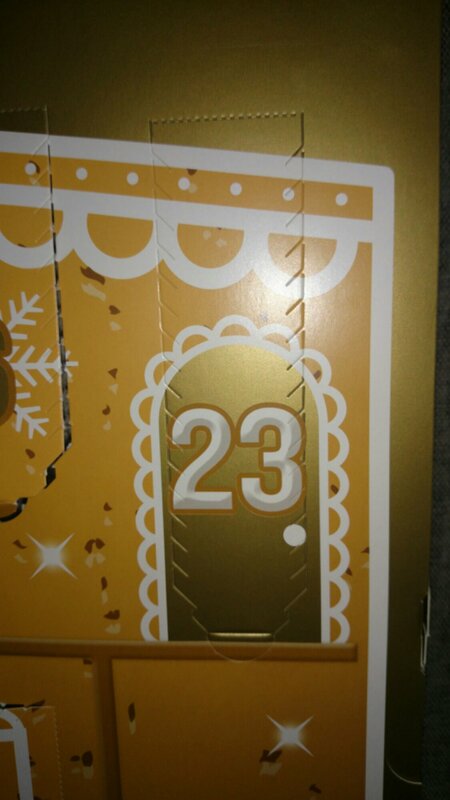 Today I got a christmas gift from a very dear friend. 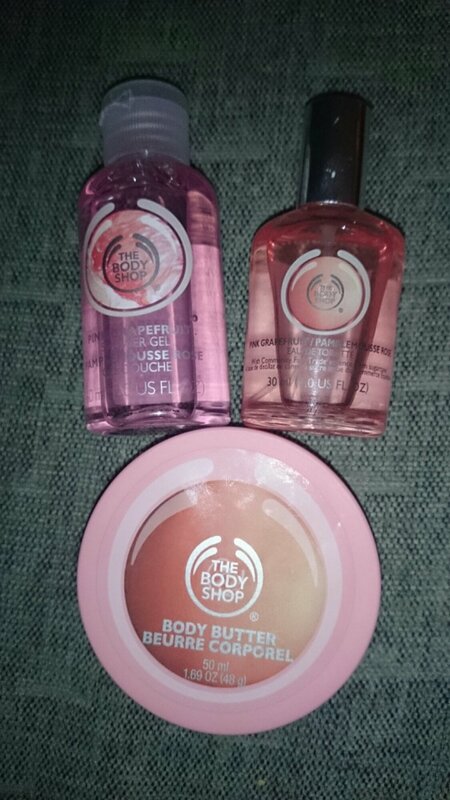 A lovely set from The Body Shop in my favourite serie, Pink Grapefruit. I’ve loved the pink grapefruit scent since the first smell of it. And I’ve wanted the perfume for about a year. Which my friend knew (because I’m nagging my friends to death about the body shop ;p) and she’s wonderful! So naturally, tonight I gave myself a grapefruit scented spa night. Which I really needed this week, and tomorrow I’m loosing myself in grapefruit again! I’ve only tried one of the lip glosses from the body shop, but not one of these. 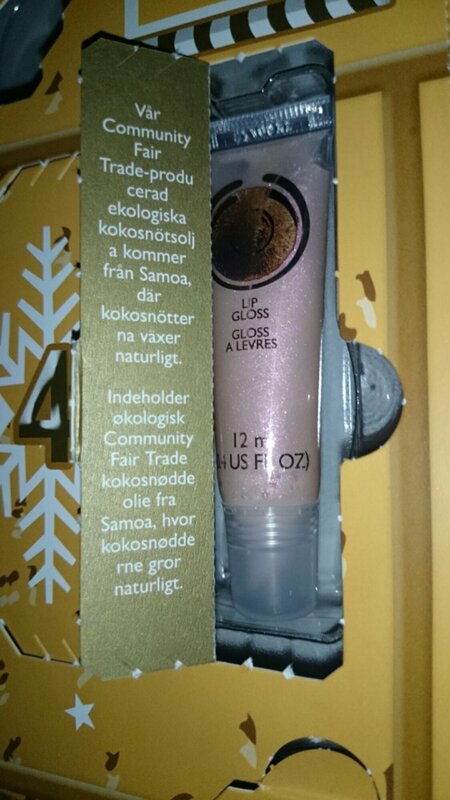 I’ve mentioned before that coconut isn’t my favorite of the scent the body shop have, but in a gloss I think I can seal with it. The gloss is a light shimmery pink with a standard angled applicator tip. For me the applicator is a plus since I don’t like the brush ones, they feel really unhygienic. The doefoot applicator feels more hygienic than this one though since it’s actually washable. Thus gloss us moisturising with for me is a huge bonus. If you’ve followed my blog for a while you’d notice I rarely use gloss, but after trying thus one I’ll try to make a post with glosses I’ve used.